So we're are off. Up at 4.00am and we all met at St Pancreas and then over to Paris. 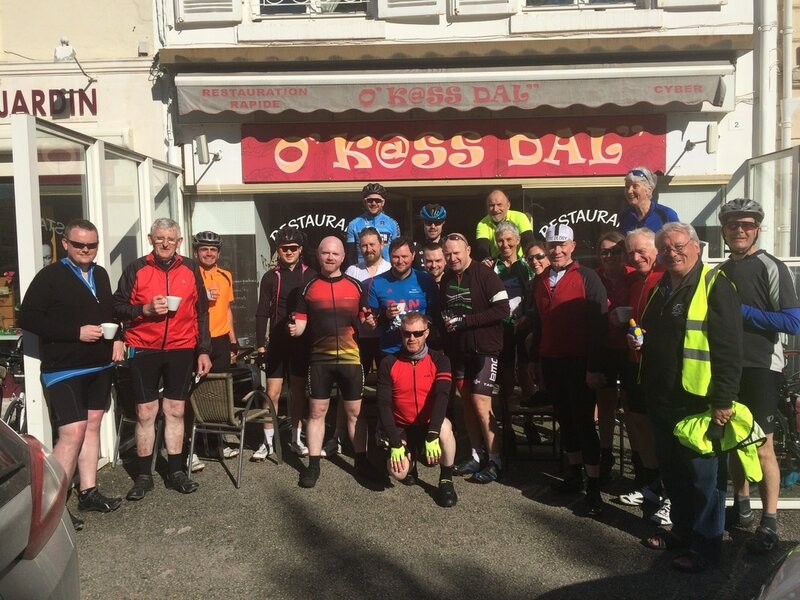 After lunch and in glorious sunshine, 30 cyclists and support crew headed off into the French countryside. This certainly had all the ingredients to be a lovely cycle ride. 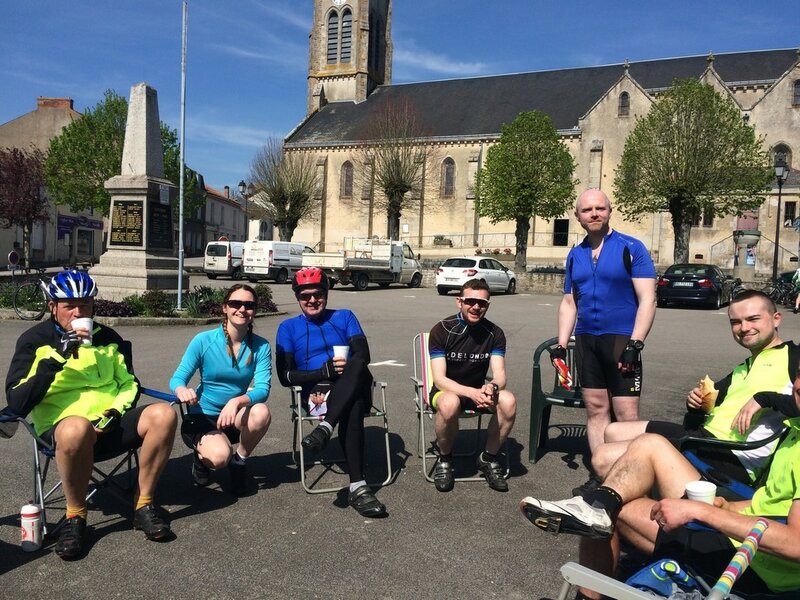 46 miles to Chartres in perfect conditions, i.e. sun with a light breeze. 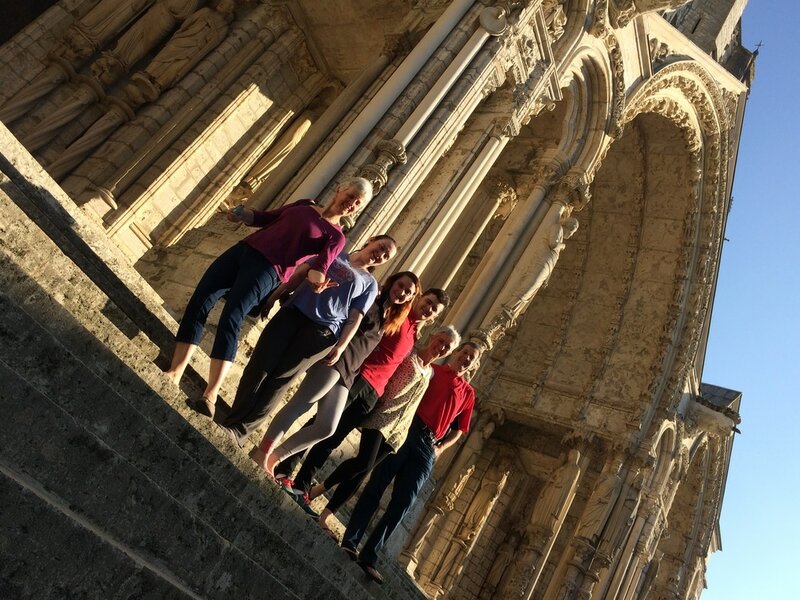 Its now 5.30pm and we are back in the hotel, showered and relaxed and looking forward to an evening meal and a good nights rest, but not before we check out Chartres Cathedral which is supposed to be famous for its stained glass windows. 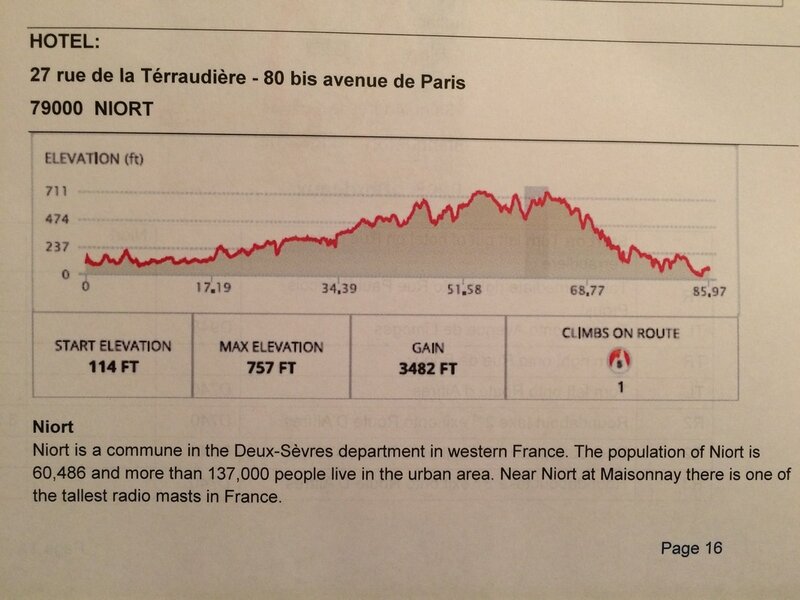 Early morning tomorrow up at 6.30am cycle off at 8.00 - 82 miles to Le Mans. A fantastic day, the temperature rose as high as 28 degrees, later in the day,. 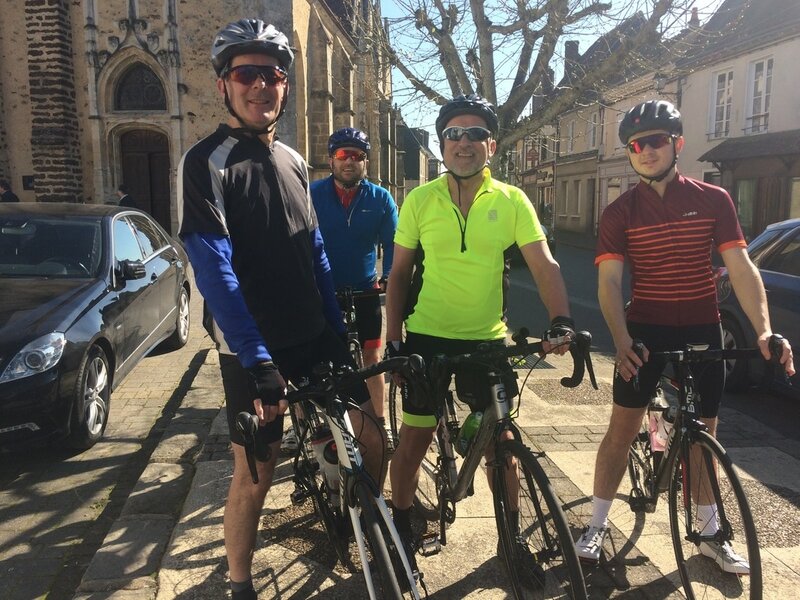 Starting at 8.00pm we were able to crack on from Chartres and finish the 82 miles ending in Le Mans by early afternoon at over 16 miles an hour. What a joy! Having the time to enjoy the beautiful French countryside without an agenda and with a lovely bunch of people is absolutely stunning , I thoroughly recommend it. 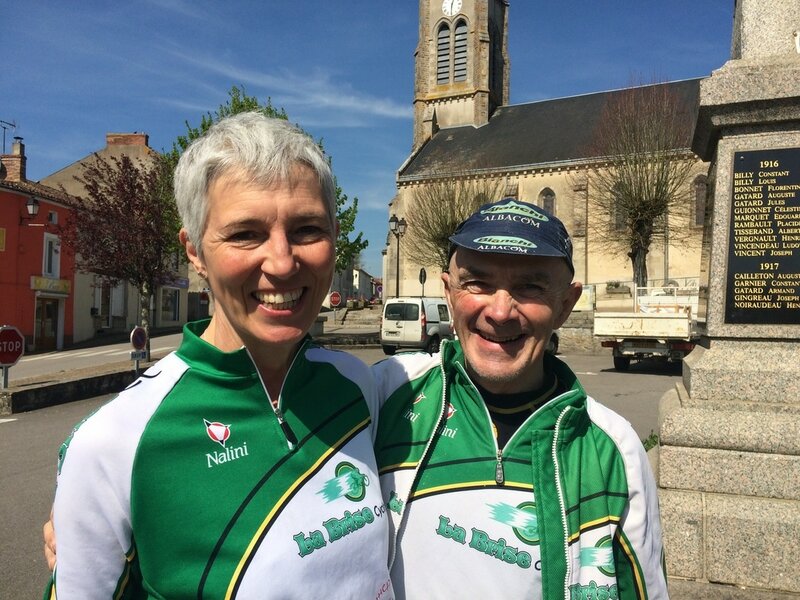 Tomorrow we ride to Saumur, which is delightful and one of the highlights of the week with a 78 mile cycle ride. Weather is due to be sunny/overcast. What a wonderful adventure today was and how beautiful is Gods creation! 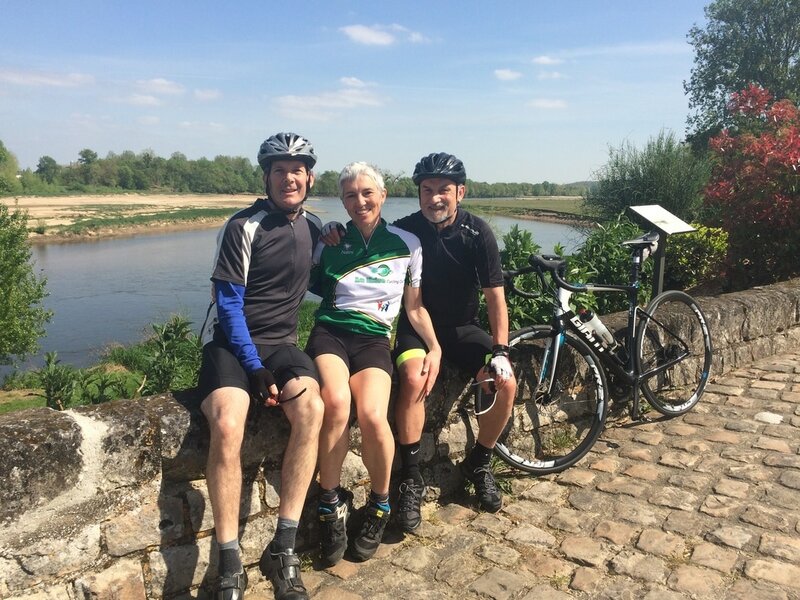 78 miles from Le Mans to Saumur on the Loire Valley, with a wonderful final 10 mile journey alongside the river with all the majestic villas and chateau's was a lovely way to finish the day. The weather again was hot with blue sky's, although it was cooler and overcast when we set out. 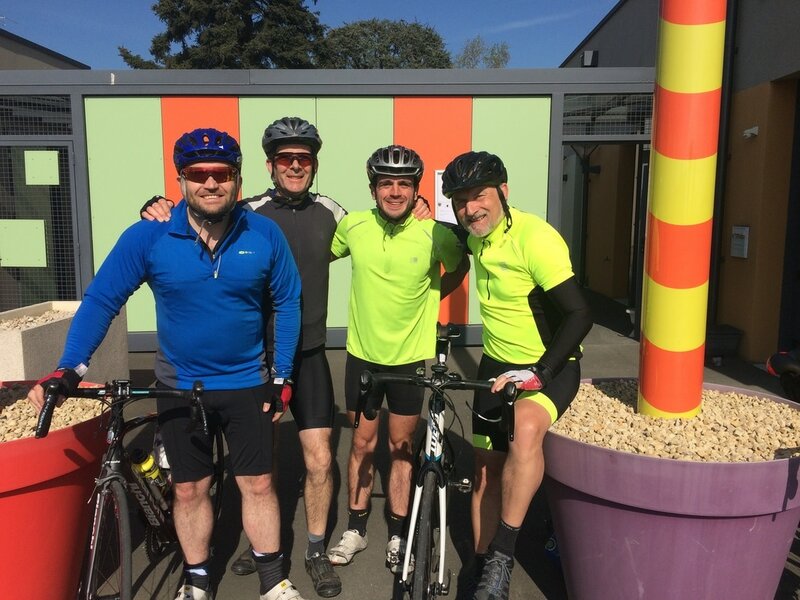 Duncan cycled with Paul Bright amongst others while Philippa and Mary cycled independently in two really fun and friendly groups. 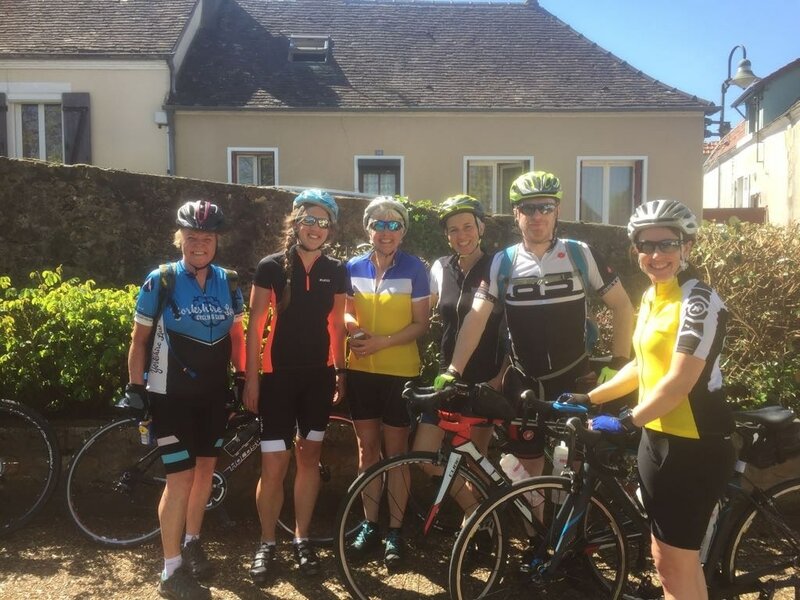 One of the highlights was having a glass of wine on the outskirts of Saumur, where all 30 cyclist congregated before the final 10 miles into the town. Weather forecast sunny and 64 degrees. 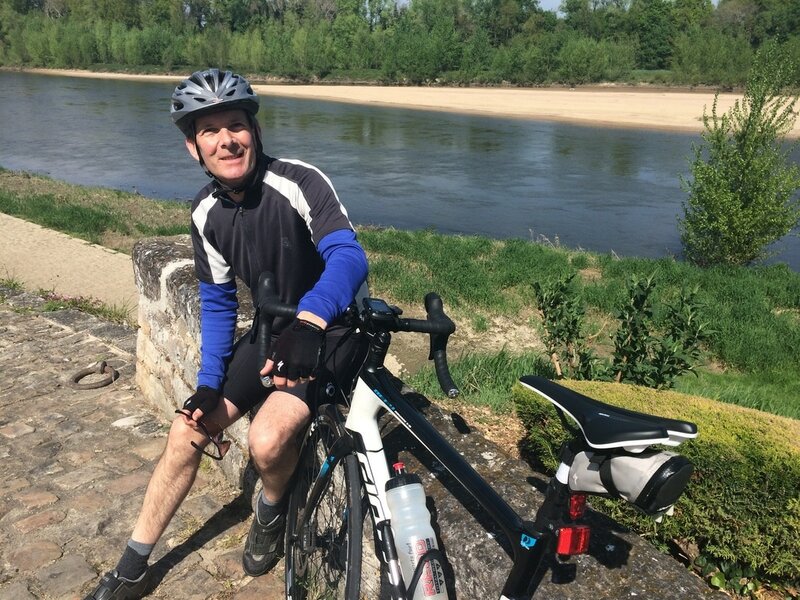 Just right for an 86 mile cycle from Saumur to Niort. I am told we are now travelling south instead of south west. Only problem today is a combination of the mileage and the 3482 ft we have to climb, much of which happens to be straight after lunch. Well, the sun shone, the roads were clear and the conditions were all in our favour. The hills were definitely a challenge, as soon as had we descended and ascended one the next was round the corner. 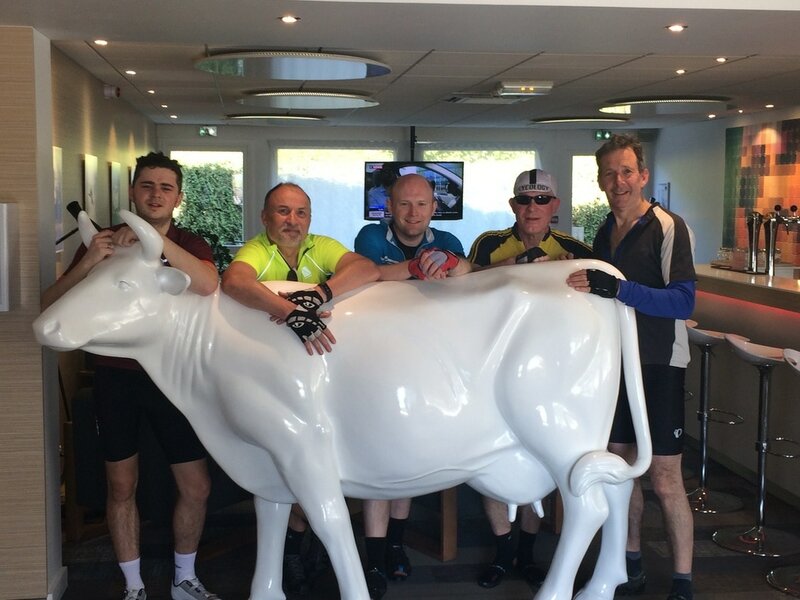 However, as a team of 4 we pushed on and arrived in Niort in time to re charge our batteries in preparation for tomorrows 115 miles. 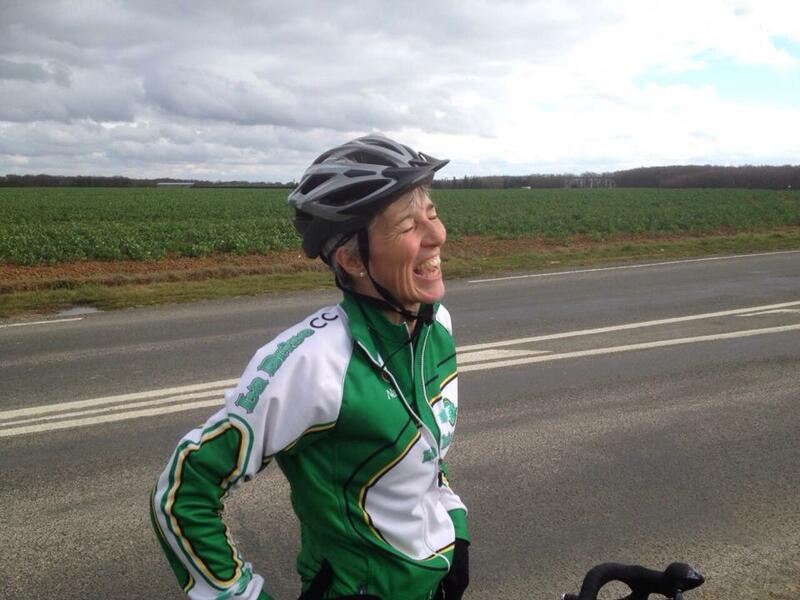 Today was the longest day, starting in Niort and finishing in Limborne. The whole journey was in the sun and was over 115 miles. 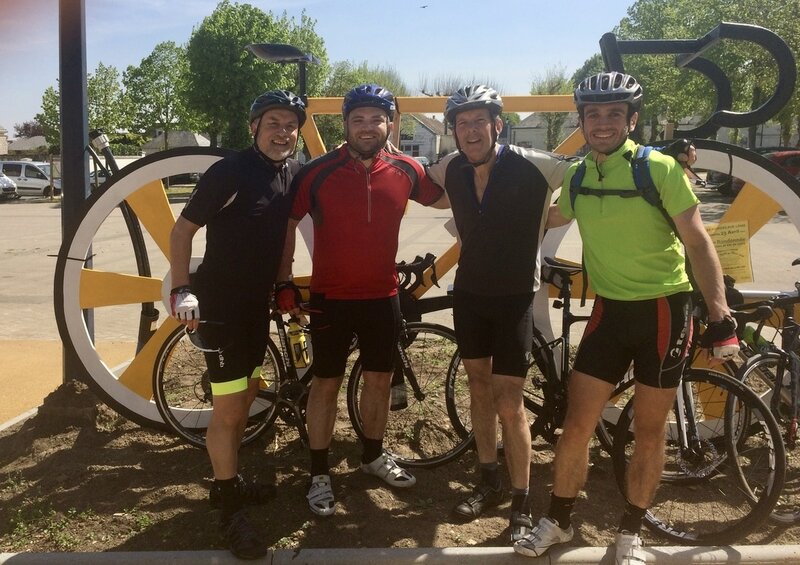 I say 115 miles, it took Duncan 119 miles as he and his group were to busy talking about their best albums ever and overshot a turning by 2 miles! 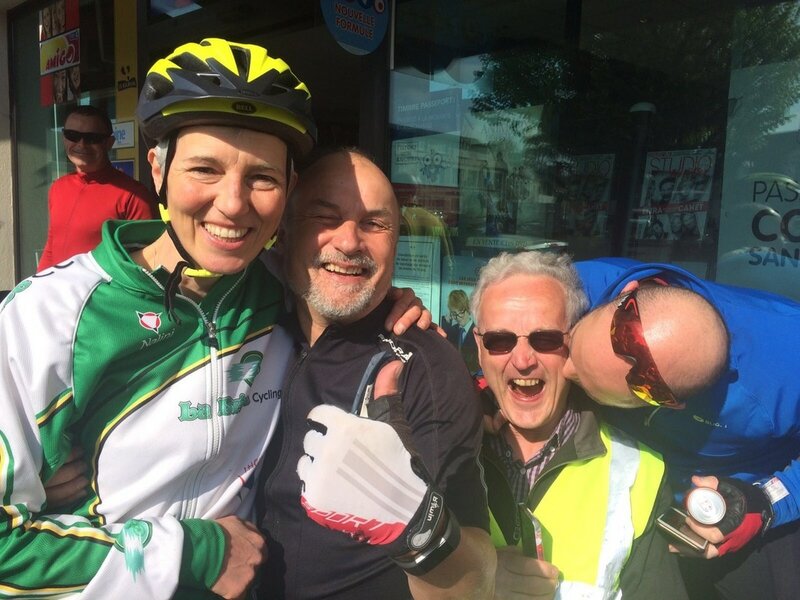 Philippa stormed the ride and came in at 5.10pm after setting out at 8;00am, Duncan and team came in at 5.30pm, all looking tired, but satisfied! it should be It seems like an easier day today, with the longest cycle behind us yesterday, but 94 miles in a day is still a distance, (admittedly with few hills), but in the heat and with plenty of time to work on those blisters! 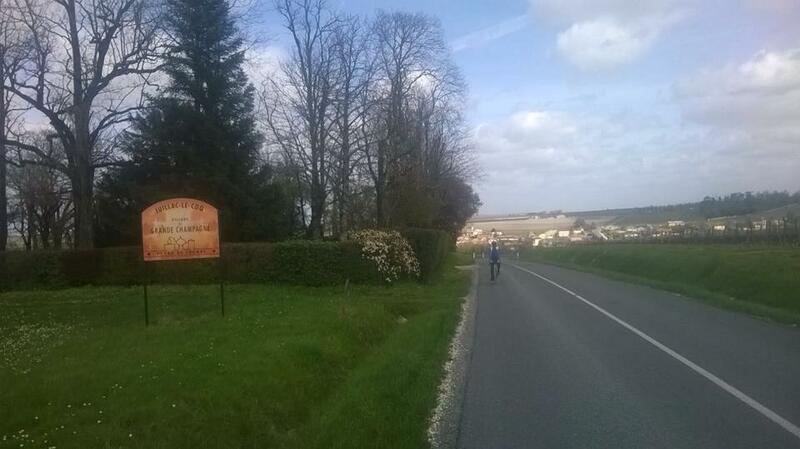 The picture below says it all, the village of Sore, is a must stop photo opportunity for all the cyclists. Weather conditions have been great so far and today was no disappointment, and the scenery varied. We spent a lot of time cycling through the forests, with a woodland stop for lunch. 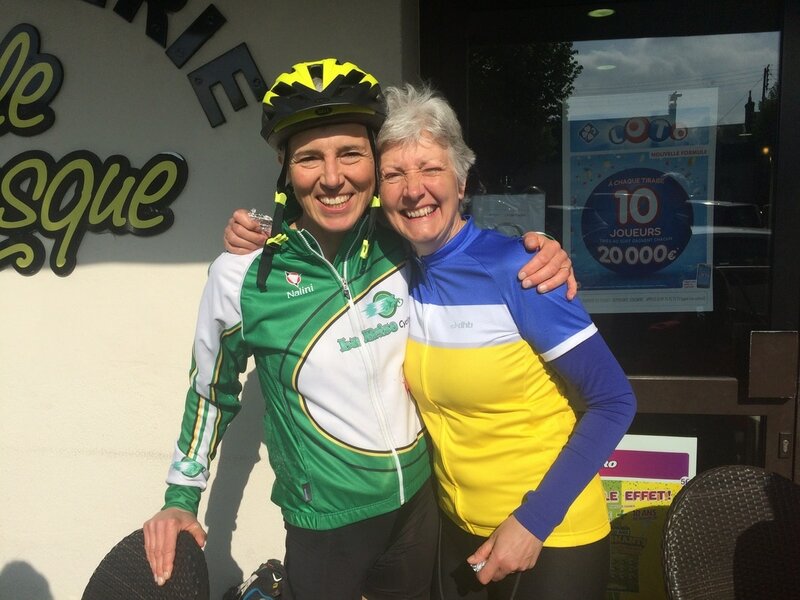 Tomorrow is the last day of cycling, from Mont de Marsan to Lourdes, circa 74 miles. Finally arrived... I'm sun kissed, wind burnt and ache all over. My calves have grown, my bottom is sore but I feel totally elated. After weeks and months of training we have finally arrived. 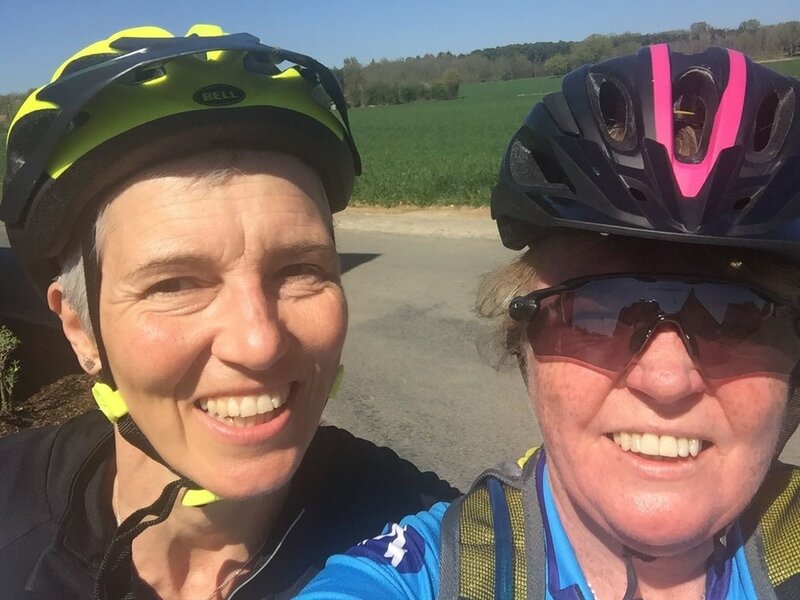 Cycling over the Pyrenees with the snow capped mountains gradually getting closer as we made our descent down mountain paths into Lourdes was quite spectacular. I have been so privileged to be part of such an amazing supportive team out here in addition to support from everyone at home. 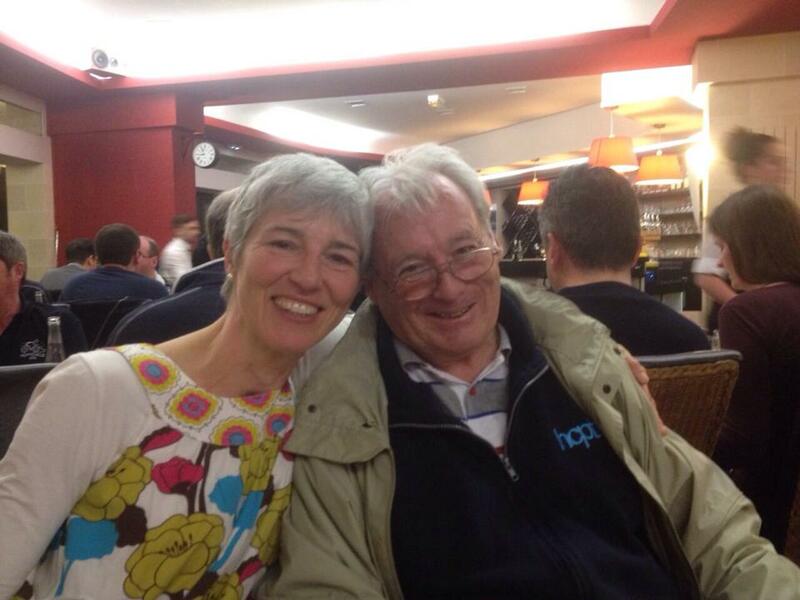 Becky and Duncan who have trained with me, family and friends who have emailed, whatsapped, prayed and sponsored. I feel so privileged to be surrounded and loved by such a wealth of people. 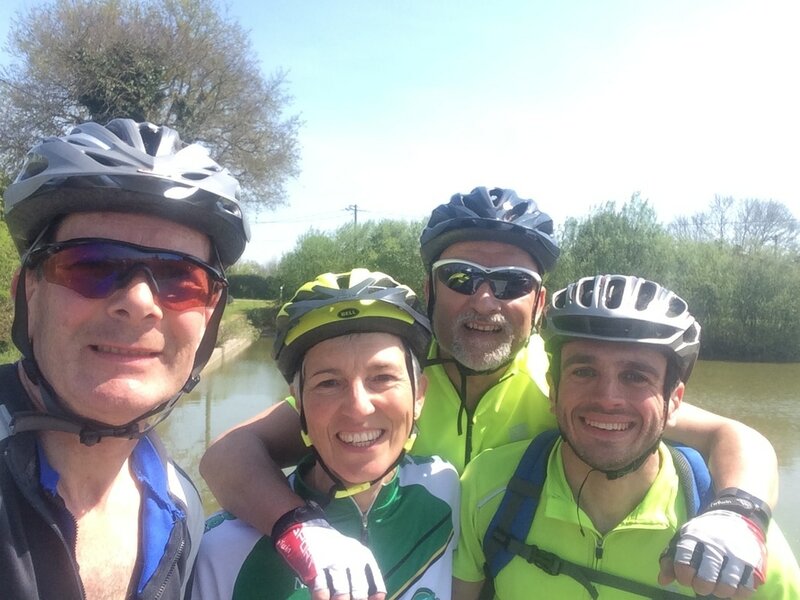 The cycle as well as being a personal challenge is about raising money for children with disabilities so that they can have a life changing pilgrimage holiday and their families can have a break. I personally have been significantly touched and changed through volunteering on these trips. It's moulded my career and been integral to our family. I now have the privilege of greeting the first flights in today. 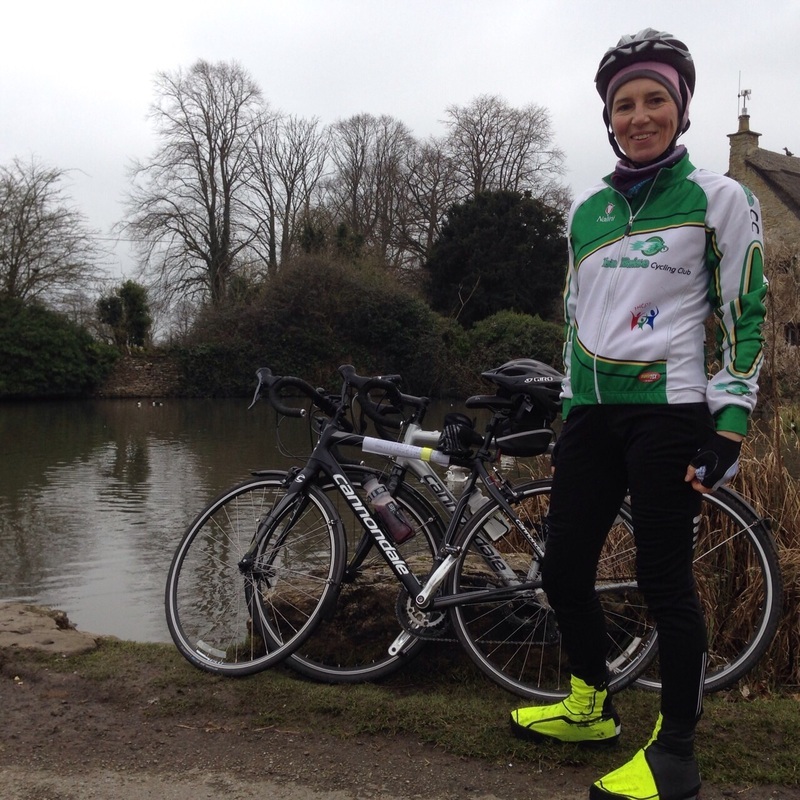 Taking off the Lycra and wearing my nursing hat for the week. With love and thanks. Well, after the personal and group euphoria of yesterday's achievement, I probably had a bevvie too many and getting up this morning was definitely a challenge. It was not helped by a momentary loss of concentration at the start heading Will, Mark, Dexter and myself off in the wrong direction. Thankfully we realised after a few miles, turned around and started again in the right direction. Today's 90 miles became 100 for us. 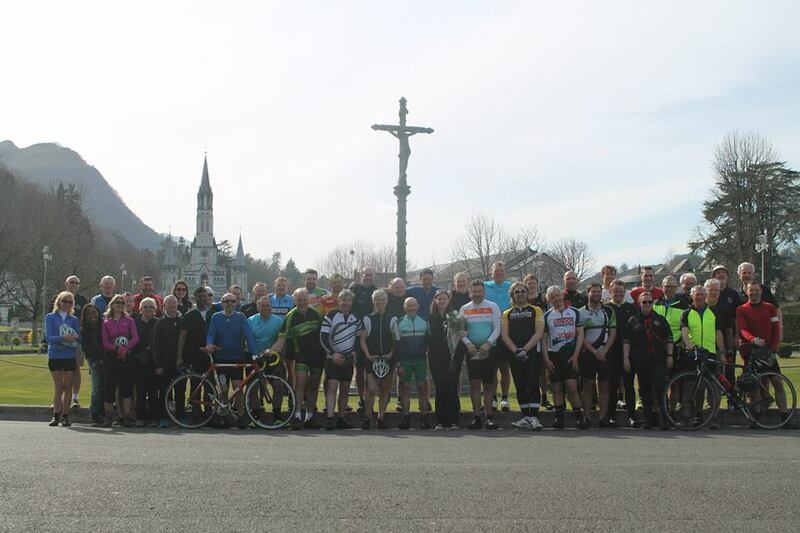 The weather was great, the terrain flat through 50 plus miles of forest, no rabid dogs or wild boars and our final sleep before arriving in lourdes tomorrow. I can't believe I have managed to cycle as far as I have, so so chuffed. And the bottom you ask? Just about holding out. Grade 1-2 pressure sore. The knee which had been a problem during training has been great but it is fair to say I haven't done much walking. I have loved all the texts, emails, cards & what'sapps to keep me going especially for those first few hard days. The longest day, 182 km! Well, it has been described by those who have done this cycle before as 'a really challenging one'; I was apprehensive about our long journey ahead and did not want to be pulled off the road for not making it in time. We were, however, blessed with intermittent sunshine and a light breeze for all 182km. 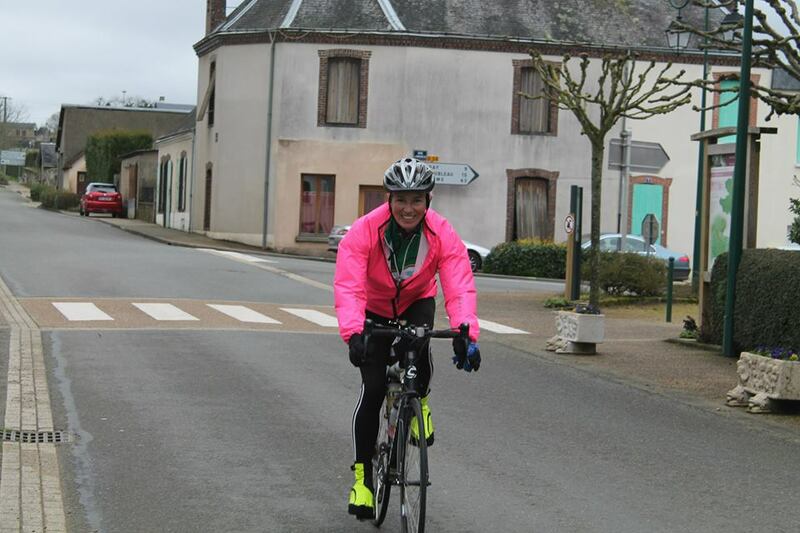 It was a treat not be dodging wheely bins, branches and twigs but to enjoy the beautiful landscape and villages. Very French with vineyards and chateaus. 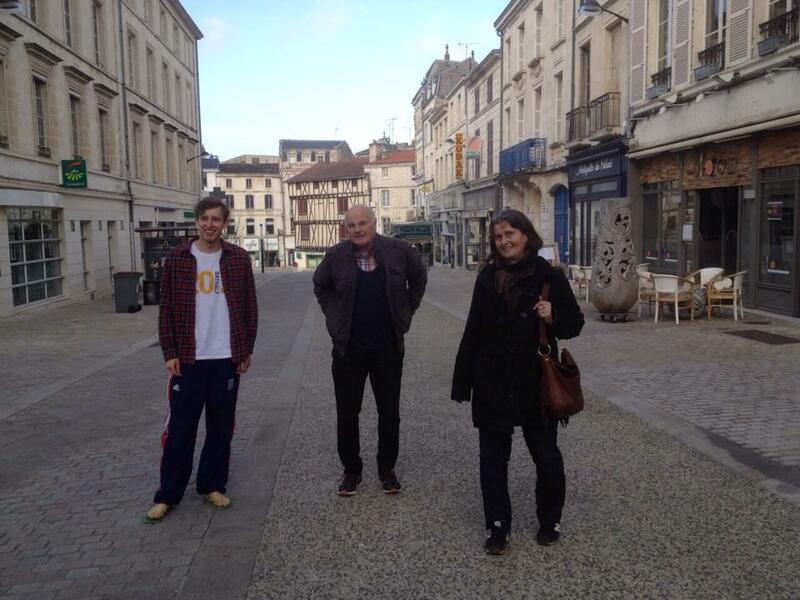 We stopped for an obligatory cognac in cognac and made it in by 5pm with an average speed of 16.6 miles per hr. 2 days left. Can't believe I'm still in the game after such a tough start. And of course, it's April fools day, so something has to be done. I approached our lovely caring Dr on tour and explained that I had a pressure sore that I acquired a couple of days ago which had probably got infected. He kindly offered me some antibiotics but I explained it really did need an examination, to which he scratched his chin, fumbled a bit and said 'well you're a nurse.' At this point, seeing he was hot and bothered, I let him off. How I love April fools. We set off in rain but in good spirits. I told myself that I would settle for rain rather than wind (although I had envisaged sunshine and little breeze). However hopes were soon dashed. That wind picked up again and this morning it was like a washing machine so we were tossed in every direction except forward. Spirits were low, we were not psychologically prepared. I only took 8 kit kats to get me through compared to 10 on windy Sunday. Liam, one of the group then got attacked and bitten by a rottweiler which needed Dr Graham's attention and the rest of us had to be put in the van for a mile to bypass the dog. Punctures were 2 a penny, thankfully I didn't get one as this afternoon, which incidentally was fantastic; I cycled alone so I could get some decent pace but I didn't have a bike pump and have not confessed to not being able to change a back wheel puncture. Thankfully the good Lord heard my prayer and I arrived home in good time to be met by my aunt and uncle who live nearby. And the pressure sore you all ask? Well some good cream and strict sleeping on my side meant that things were no worse this morning, a similar routine tonight. After a very tricky and tiring day yesterday we were advised to head off early today to get ahead of the wind. As ever, an 'eat as much as your belly can hold breakfast' and off we went as the sun rose. What a difference. The wind was normal, the odd gust but what you would expect, the sun made appearances, we could chat and the wind didn't steal the conversation. Lunch didn't have to be battened down to stop it flying away. 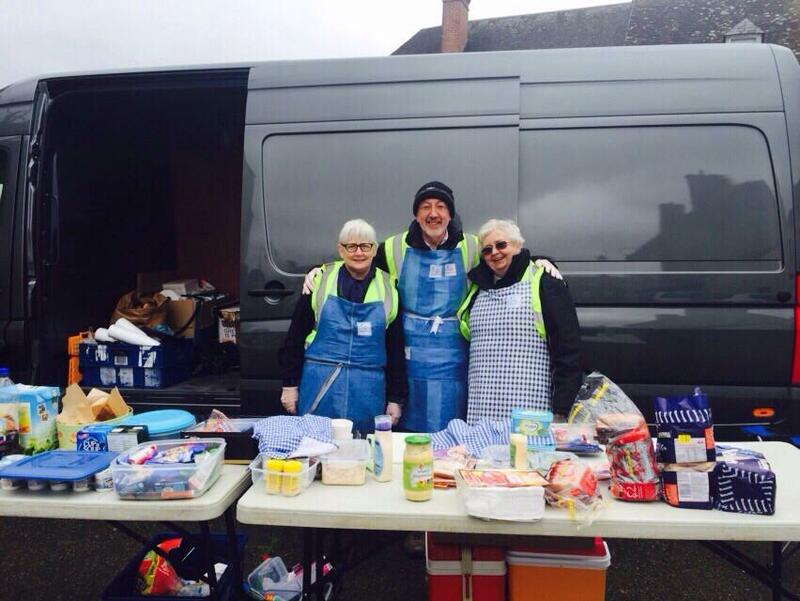 The support team, as ever, were amazing with snacks and drinks and encouragement. 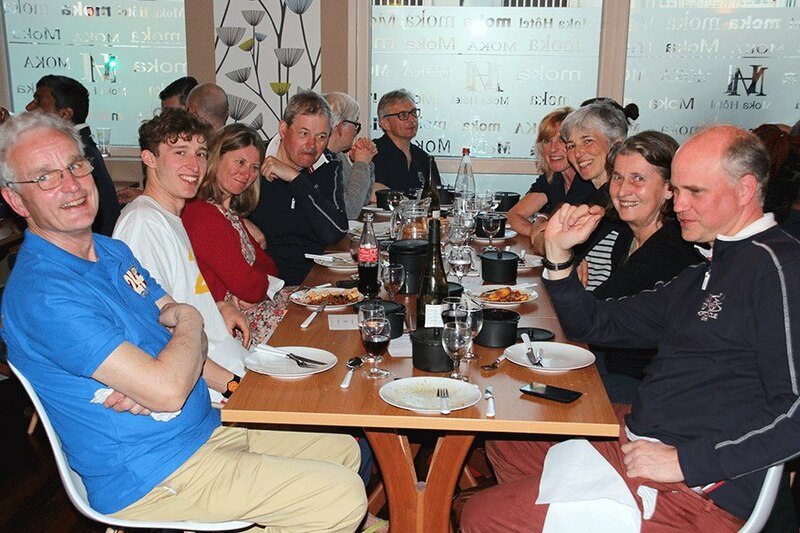 We arrived in Samur with time to go for coffee, enjoy the castle and be in time for dinner. Anything not so good? Sore bottom from hours on the saddle. Time for the pressure sore cream. So on our first day yesterday we lost an hours sleep as we moved into French time and then a further hours sleep as the clocks went forward. That's the first bit of bad news. We then woke up to rain and cloud. Not put off we set with a smile on our face, how naive, we spent the next 130km going south west facing a south westerly wind which I have been informed was going at 40miles an hour. At one point we were peddling as fast as we could only to look at the speedometer telling us 5 miles an hour!!! Not a good day. It took all those that finished an extra 2 hours, I'm so chuffed to say that I did finish, many didn't. So the good points. There must be some! 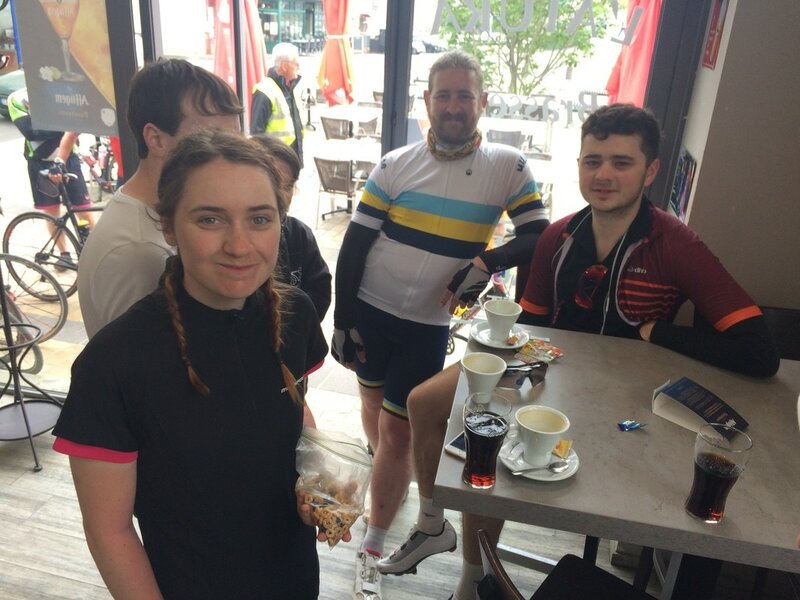 We had a delicious coffee and cake in Brou and then managed to be on the tail wind of the fast cyclists for about 10 miles. It really made me appreciate how birds fly in formation. 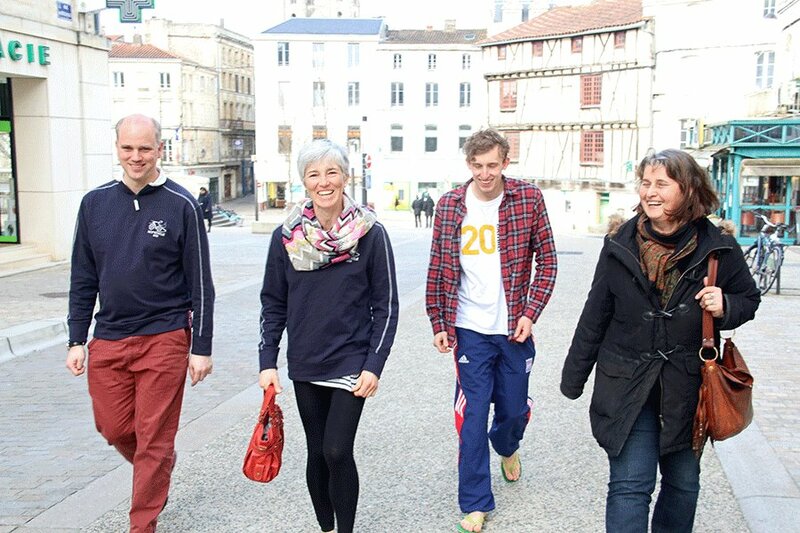 What else was good - lunch and Theresa's biscuits and a hot showers on arrival at the hotel. We have just learnt we are in the eye of a cyclone and the first 4 hours of today might be in our favour and then we face the wind again. Let's hope it's all good but feeling a bit despondent. Things can only get better. The Lycra is trying to dry, the bottom is sore from hours on the saddle but the spirit is still going. 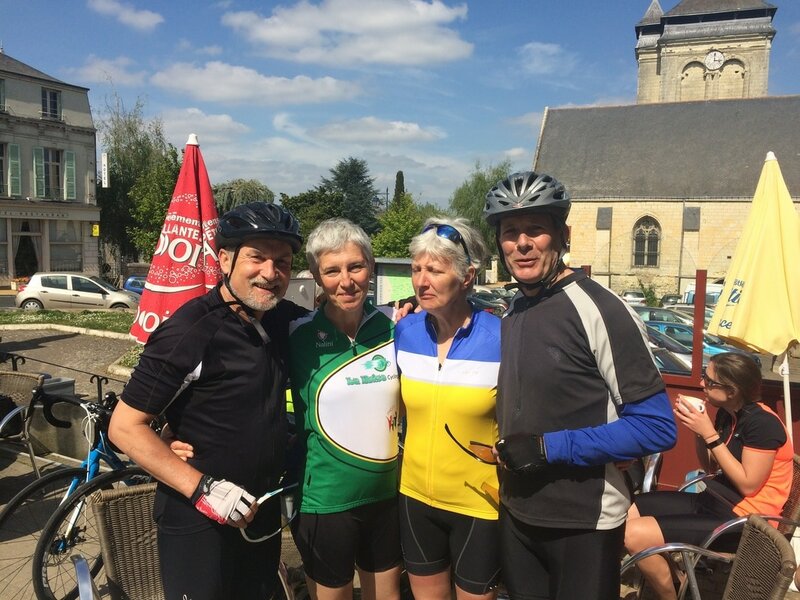 After a 04.30 get up, a very comfortable Eurostar to Paris with coffee and pain au chocolat, a brief coach trip to Versailles, it was time to get out the Lycra and start the cycle. Today was a brief 47 miles just to warm up. When has 47 miles ever been a warm up! 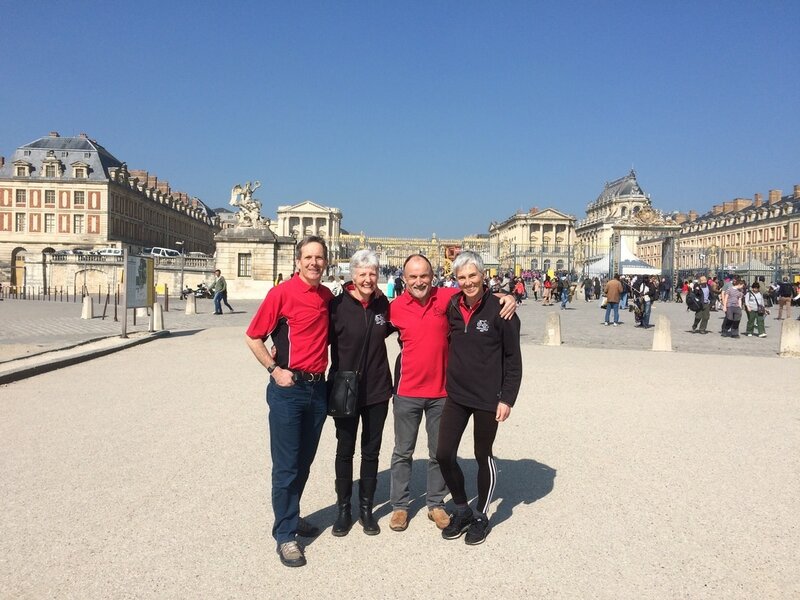 We were all excited and apprehensive as we left from the Grand Palais in Versailles. The word of warning was to take it easy, don't burn yourself out, it's not a race. 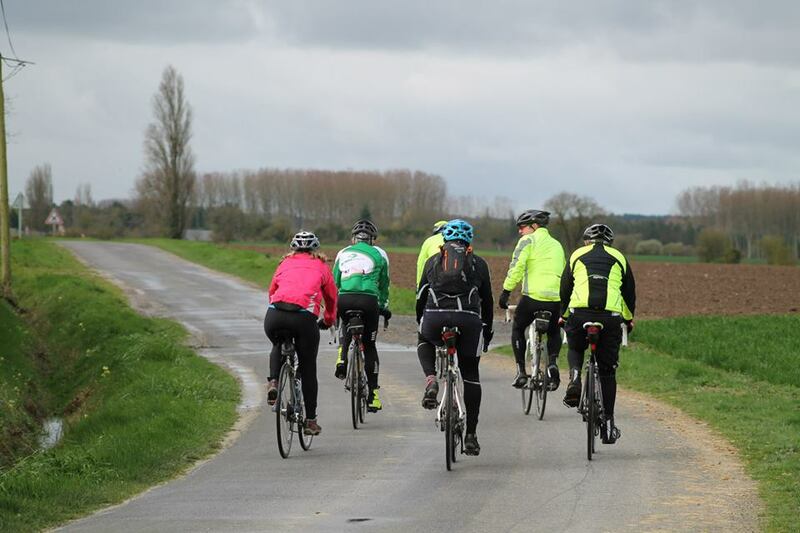 We obediently set out with those instructions in mind, chatted, enjoyed the villages and countryside until 24 miles when the countryside opened up and the wind picked up pace. The following 24 miles were a long hard slog with the wind in our face. There was no go easy, you had to go hard to stay stationary. It took as all longer than anticipated but we have all arrived back safely, bathed those aching muscles, refilled and our eagerly awaiting supper before a good nights sleep in preparation for tomorrow. As the Irish say, let's hope the wind is on our back tomorrow. Well the moment has finally arrived. I'm on my way to Kings Cross ready to catch the Eurostar tomorrow at 05.30am. I'm both really excited and also apprehensive. For sure, I am a lean mean cycling machine; I've discovered muscles I didn't know existed. I'm all prepared with thermal gloves & anti chaffing cream!! Padded shorts and my own personal mascot given to me by 3 previous Drs; a Lego nurse on a bicycle. She's been named Chantrigne after a house we used to have in France. She will be travelling with me up and down every hill. I shall keep you posted on my daily travels. Let the excitement begin! 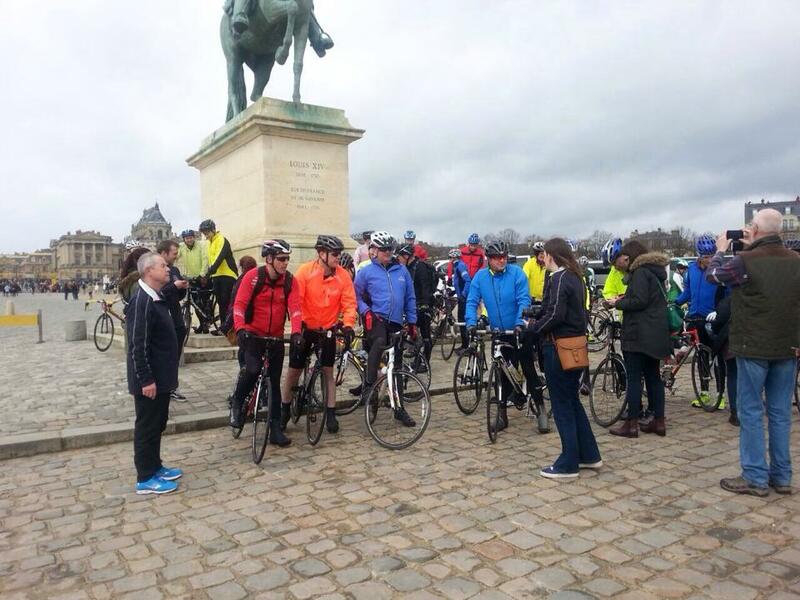 So the day finally arrived for our last team cycle before we head for Versailles. 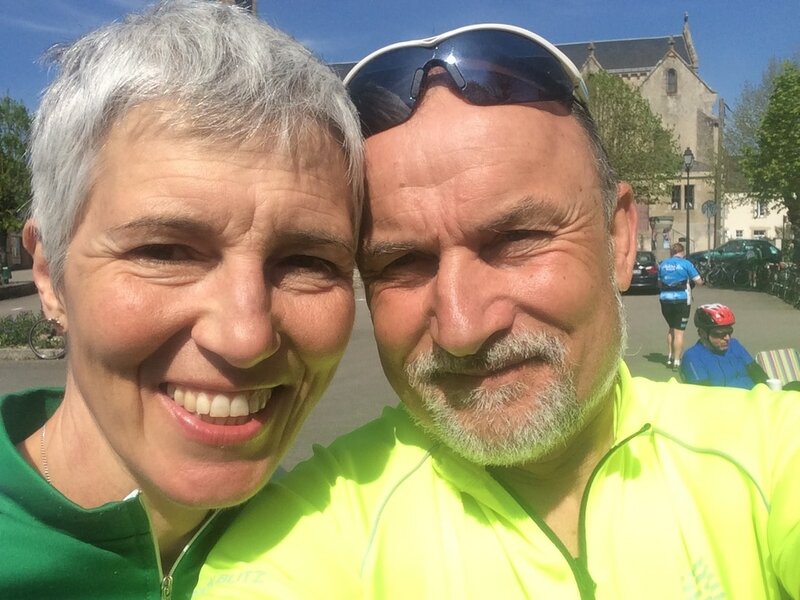 A 72 mile cycle and then time to say good bye to the bikes as they head off in the van ready to meet us in France on Saturday. We all managed the final challenge and our now busy washing our Lycra ready for the real event. 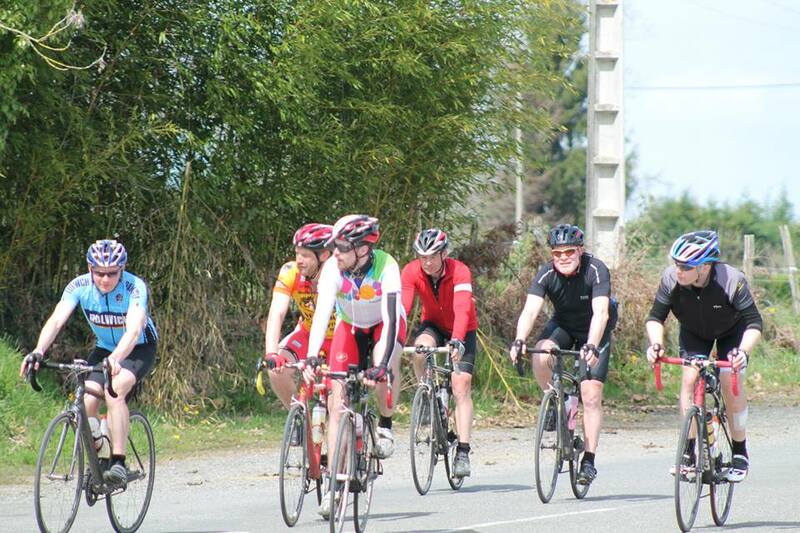 I can't believe that the weeks and months of cycle practice has now come to an end and the final event is here. My knee, that has caused me a bit of hastle held up yesterday so I am hoping and praying it stays in good form for the week.